A fellow healthy-oriented mama friend emailed me with her Christmas cookie dilemma – her girls have caught the Christmas baking bug this Advent season, but she wants to keep them from going into insulin shock. So I sifted through my Safari dessert bookmarks and found a Pinterest-worthy amount of great ideas. And much like Pinterest, I’ve only actually tried some of them, so let me know what you think! So what makes a treat HEALTHY, you ask? White, bleached flour is replaced by sprouted flour or almond flour, white sugar is replaced by natural sweeteners like real maple syrup, raw honey, dates, or Sucanat/Rapadura (unprocessed sugar cane), and processed, unstable oils (canola, soy, etc.) are replaced with healthy coconut oil and organic butter. If you don’t feel confident replacing ingredients, search for your favorite goodie recipe with the word “nourishing” and I guarantee you will find someone who has figured it out for you! But beware! Don’t use this as an excuse to down a baker’s dozen in one sitting. Moderation is wise even when introducing new, healthier ingredients. Apricot Macadamia Snowballs – Our dear housemate has made a version of these that are ridiculously simple. 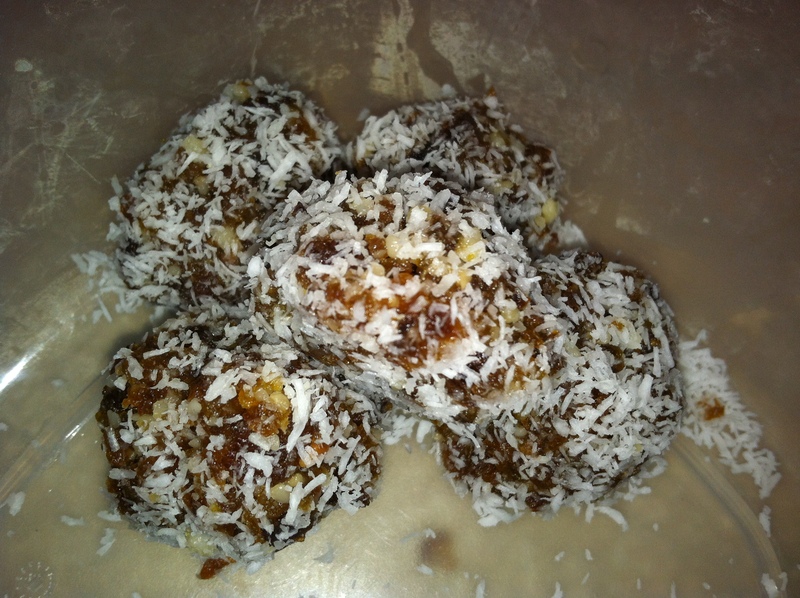 Equal parts dried, unsulphured apricots and macadamia nuts blended in a food processor, formed into balls and rolled in shredded coconut. No baking necessary! Next time I plan to add dried cranberries for a festive color and flavor profile. They are simply amazing! Raw Chocolate Macaroons – I’m by no means a vegan raw foodie, but I appreciate some of their simple recipes. This has 5 ingredients (shredded coconut, coconut oil, cacao powder, maple syrup and vanilla) that are hopefully already stocked in your pantry. Very easy to put together quickly, but they need to be stored in the frig to keep them from getting melty. No Bake Pumpkin Bars – Again with the no baking?! Don’t worry, I use my oven often but I love the simplicity of raw desserts. We use GF ginger snaps for the crust and cultured cream cheese to add probiotics, plus high quality gelatin adds to the health quotient as well. If you need a quick pumpkin fix, this’ll do ya. Easy, Healthy, Scrumptious Fudge – Five ingredients, a food processor, and very little heat will provide surprising results. Make sure you sweeten to your taste and store in the refrigerator. Every Good Girl Deserves Fudge! 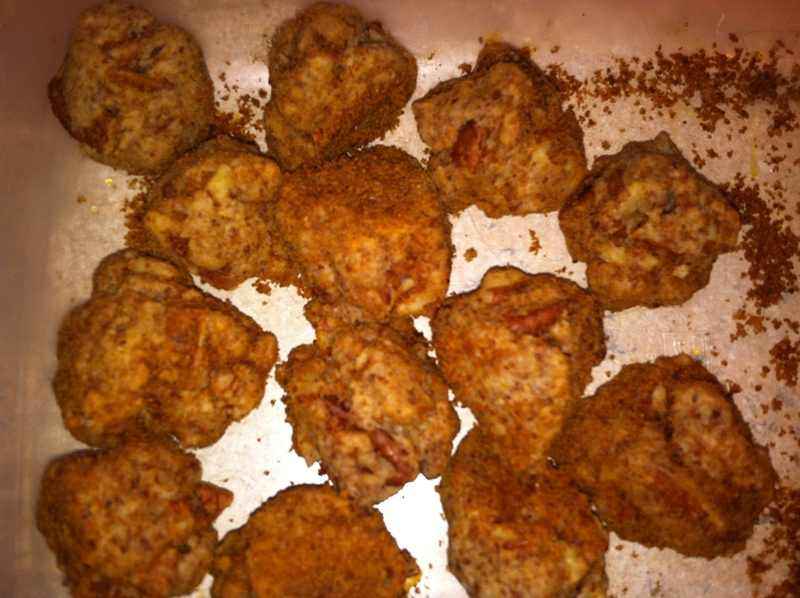 Popcorn Balls – We made these last year and they were delicious! They are made with nut butter and honey but taste very similar to the Karo syrup version. Definitely worth the effort. Magic Bars – I have fond memories of my mom making these with the sweetened condensed milk, but now there is a healthy coconut milk version! I tried a version of these a few Christmas’ ago using raw Amish cream and they totally hit the spot. Enjoy! Gluten-Free Lemon Bars – My oldest daughter was craving something lemony for Thanksgiving and though LBs have far too many steps for my simple tastes, the outcome was delicious. Sweet Potato Brownies – Yeah, you read that right. 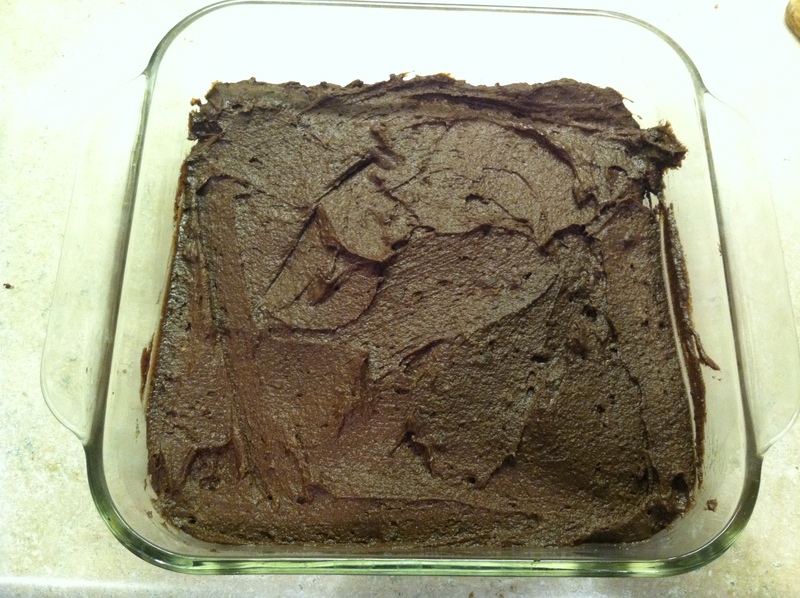 I have tried to make brownies out of every conceivable alternative out there – beets, beans, and even quinoa! (Yes, my children are very aware of their deprived lives.) But these take the cake. I use a cooked sweet potato (instead of shredded) and substitute the olive oil for coconut oil, which is more heat stable. I prefer maple syrup instead of honey and even add some stevia to sweeten them a bit more. My husband recommends you put some chocolate chips in just to make them sweeter/more chocolatey. But they have become my go-to brownie – I love the texture and they even taste great cold. Easy, Dairy Free Caramel Apples – This caramel sauce was DE-lish! And it’s forgiving if you heat it too long – just add more coconut milk. I made it dairy free by substituting the butter for coconut oil. It’s worth making as a dip for apples and more. Homemade Nutella – Have you heard two more beautiful words paired together? Actually, I can’t make this regularly or else I won’t. Stop. Eating. It. So consider yourself warned. But it would make a lovely Christmas gift in a cute little mason jar with a ribbon around it – no? Cinnamon Roll Cake – I made this for Christmas morning last year and my family couldn’t stop talking about it and has requested it again this year. I switched out the sugar for Rapadura/Sucanat and the flour for sprouted spelt. It needs much less sugar than it calls for (we didn’t do the powdered sugar) and is an easy way of getting the cinnamon roll taste without all that pesky rolling. Wow. Does anyone feel full right now? And just to defend myself, these are recipes that I have collected over the YEARS. I do not make dessert every night or even every week. Just when I’m feeling like it or a sweet potato is about to go bad. But I am fasting from sweets for a yet undecided amount of time in the New Year, so I’m going to enjoy the holiday baking while I can! Let me know if you try a recipe that you like. What healthy goodie is your favorite during this holiday season? This entry was posted in Eat Real Food by Shesourceful. Bookmark the permalink. Thanks for the shout out! What a fun round-up! What a gift! I’m surprised with this list you aren’t heavier. Merry Christmas!